Kristofferson threw away a promising military career in favor of life as what he sometimes calls, "A songwriting bum". He had excelled at most everything he�d ever tried, save for singing and songwriting, but it was the singing and the writing that called to him. He wound up penning classics including "Me and Bobby McGee", "Help Me Make It Through the Night", "Sunday Morning Coming Down" and "For The Good Times", as well as a slew of other empathetic, incisive gems. Kristofferson, along with contemporaries Tom T. Hall, Mickey Newbury, Willie Nelson and John Prine. After earning a master's degree in English literature from Oxford in 1960, Kristofferson intended to continue his studies there. But during a Christmas break back home in California, he resumed his relationship with an old girlfriend, Fran Beir, and they married. Instead of returning to Oxford, he joined the Army. Like his father, he became a pilot, learning to fly helicopters. He was assigned to West Germany and went there with his wife and their daughter. During the early '60s, while rising to the rank of captain, he eventually returned to writing and performing, organizing a soldiers' band to play at service clubs. Hearing his songs, a friend suggested sending them to a relative of his, the Nashville songwriter Marijohn Wilkin. Kristofferson did so and he received encouragement from Wilkin, who had become a music publisher by founding Bighorn Music. In 1965, Kristofferson was reassigned to the West Point military academy, where he was to become an English instructor. He spent a two-week leave in June 1965 in Nashville, where he looked up Wilkin and decided to try to become a country songwriter instead. Kristofferson scored his first success as a songwriter with "Viet Nam Blues", which was recorded by Dave Dudley and peaked in the country Top 20 in April 1966. As a recording artist, Kristofferson was signed to Epic Records and released a lone single, "Golden Idol" / "Killing Time", in 1967, but it missed the charts. Roy Drusky recorded Kristofferson's "Jody and the Kid" and took it into the country Top 40 in the summer of 1968 and Billy Walker and the Tennessee Walkers' version of his "From the Bottle to the Bottom" peaked in the Top 20 of the country charts in April 1969. He had moved to Fred Foster's Columbine Music and begun to collaborate occasionally with Foster, and he got a break when Roger Miller decided to record one of their songs, "Me and Bobby McGee", a ballad about hoboing that recalled earlier Miller hits like "King of the Road", but with more of a hippie slant. Miller ended up recording not only "Me and Bobby McGee", but also two other Kristofferson compositions, "Best of All Possible Worlds" and "Darby's Castle", for his August 1969 album, Roger Miller. "Me and Bobby McGee" was released as a single in advance of the album and it peaked in the country Top 20. Meanwhile, Kristofferson had begun to gain recognition as a performer, thanks to Johnny Cash, who introduced him at the Newport Folk Festival that summer and featured him on his network television show. In December, Sammi Smith entered the country charts with "Help Me Make It Through the Night", giving the song a surprising twist by having the woman ask the man to sleep with her instead of the other way around. The single crossed over to the pop charts, eventually reaching the Top Ten and going gold, and it gave Kristofferson his third country chart-topper in February 1971. Meanwhile, Bobby Bare's recording of Kristofferson's "Come Sundown" also had reached the country charts in December and it peaked in the Top Ten in February 1971. Up to this point, Kristofferson had been getting most of his recognition in country music, but that changed in January 1971 when Janis Joplin's posthumous album Pearl was released. Joplin had covered "Me and Bobby McGee" and it was released as a single, shooting up the pop charts to #1 in March. His fourth album, Jesus Was a Capricorn, was released in November 1972. 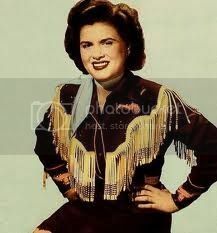 Initially, the LP did not do as well as Border Lord, itself a step down from The Silver Tongued Devil and I, as the title song barely made the pop singles charts and a second single, "Jesse Younger", missed the charts entirely. But in March 1973, Monument released a third single, the slow, pious "Why Me", which topped the country charts in July and went gold, also crossing over to the pop Top 20. With that, sales of Jesus Was a Capricorn rebounded and the album hit #1 in the country charts a year after it was released. On August 19, 1973, Kristofferson married singer Rita Coolidge (who soon bore him a second daughter) and the following month the couple released a duo album, Full Moon. It was a big hit, topping the country charts, reaching the Top 40 of the pop charts, and going gold. Its first single, Kristofferson's composition "A Song I'd Like to Sing", was a Top 20 easy listening hit, a Top 40 pop hit, and a country chart entry. He returned to filmmaking in January 1984 with the television broadcast of The Lost Honor of Kathryn Beck, and made it back into movie theaters later that year with Flashpoint, a mystery, and Songwriter. In the latter, he co-starred with Willie Nelson in a story about the Nashville music industry. He wrote a number of songs for the film, resulting in his first Academy Award nomination for original song score. Columbia Records released Music From Songwriter, a duo album by Nelson and Kristofferson on which the two sang separately and shared a couple of duets. 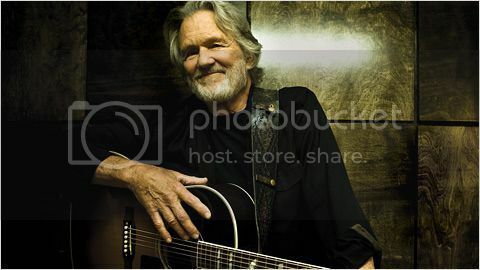 The album reached the pop charts and the Top 20 of the country charts, and one of the duets, Kristofferson's "How Do You Feel About Foolin' Around", made the country singles charts. Kristofferson and Nelson expanded their partnership into a supergroup quartet with the addition of Johnny Cash and Waylon Jennings to create the album Highwayman, released in April 1985. 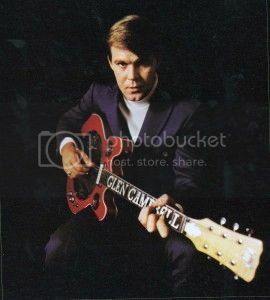 The title track, a song about reincarnation written by Jimmy Webb, with each group member taking a verse, topped the country charts in August and the LP was also a number one country hit, going gold.